Comes with the deluxe pistol grip handgun, pressure gauge and adjustable pressure (0-60 P.S.I). 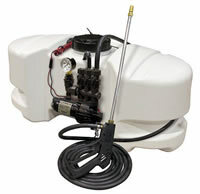 • Includes Pressure Gauge & Y-Valve Pressure Adj. 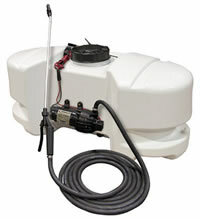 Includes all necessary parts & plumbing to convert a spot sprayer into an ATV sprayer. 1.0 GPM Minimum pump requirement. 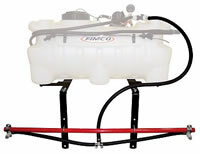 Includes mounting brackets which fit most ATV racks. 2.1 GPM Minimum pump requirement.